Back home tired from work and wondering what to make for dinner? 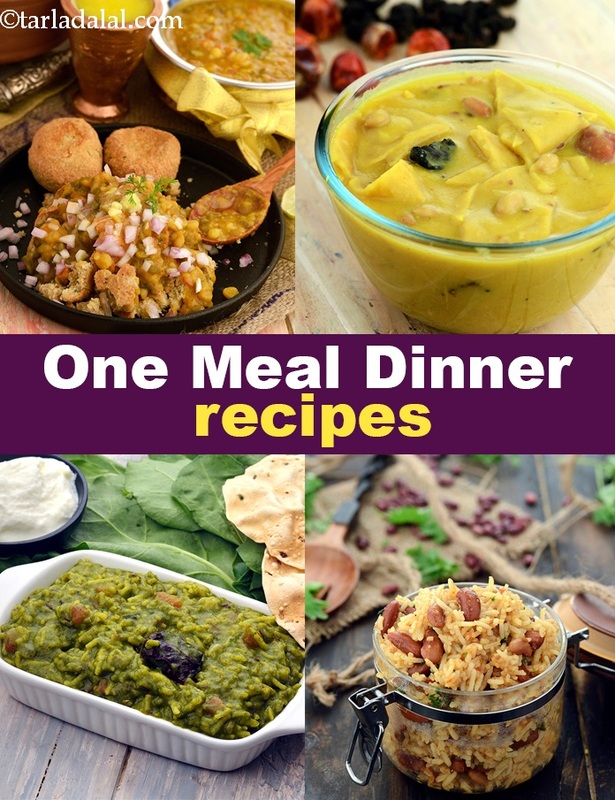 Reach out for one of these one-meal dinner recipes! They are convenient to make and sumptuous. You just need to make a sufficiently large amount of one dish, for the whole family to enjoy. If your vote is for South Indian, have a go at Bisi Bele Bhaat, or try the Bell Pepper Zucchini and Pesto Pizza if you yearn for an Italian dinner today! Make a light meal of Khichdi or a slightly heavier meal of Aloo Methi Parathas, which can simply be served with curds and Spicy Mango Pickle. Go for a simple Oriental meal of Chinese Fried Rice, or a more elaborate Rajasthani combo like Daal Bati Churma on days when you have more time. This section is packed with a bunch of such convenient One-Meal Dinner recipes.